Did any one notice this?? We could've predicted this to happen by the way they made MapleStory, the apparent "best 2D MMORPG." Out of curiosity, what did you plan to do with that grenade in the picture...? Possible suicide attempt, I see? Theory has it you run faster with a nade. I'd test that if it weren't for the fact that every twenty minutes or so, my game freezes. Until I figure out a way to fix that, I'm going to be haunting Combat Arms forums gathering info (such as this one, and the Nexon one, =P)... And playing Xbox LIVE. I wonder what the 7 is for? I'm last since I'm obviously the most terrible player in the game. Why do you think I spend 3x more time on Combat Arms forums than I do in the actual game?! P.S. And also, there is something I know that you don't. But I'm not going to tell you. Because that's why I know, and you don't. And 7. Being the 7th train-yard with the Noxen beginning. You jokers. D:! 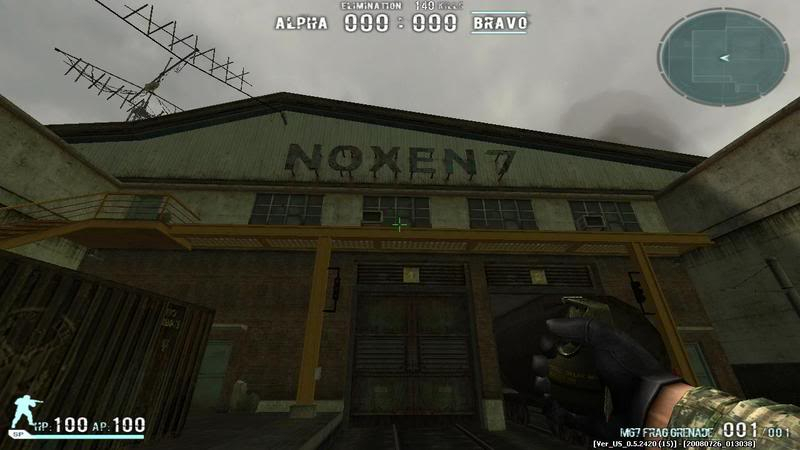 Obviously its Noxen 7, Noxen being the general name of the train-yards close by, And 7. Being the 7th train-yard with the Noxen beginning. You jokers. D:! You always have to ruin my fun, don't you Cyanide? You just think it's funny to make fun of my 12 year old mind ! Subject: Re: Did any one notice this? ?